Now you can profit from the billion dollar teeth whitening industry by partnering with WhiteScience World Wide/Remedent! Multi-million dollar patents have created a new cosmetic whitening industry that has made it possible for spas, salons, malls and resorts to offer their customers professional quality teeth whitening without a dentist or the dentist’s prices. Franchise Independence without the Franchise Risk. No franchise fees. No franchise royalties. No overhead. No dental background required. Join forces with an international, publicly traded dental R&D company that is introducing a unique vending and profit sharing concept that eliminates most of the risk and overhead a franchisee normally assumes. As a division of a public company we strongly recommend that any individual or business entity considering doing business in the non-dental cosmetic teeth whitening industry ask many questions and know the facts before determining which company will be the most qualified business partner. WhiteScience Worldwide/Remedent is an international, publicly traded, research, development and manufacturing dental company that has been selling products and services to both the consumer and the professional dental market in over 40 countries. We have been a publicly traded company since 1999. We create and manufacture own, patented products. 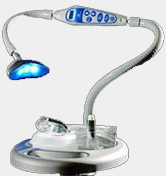 We are a dental R&D company with a steady pipeline of new and innovative products. We have the financial stability to provide continuous product supply and support. We manufacture and support a patented teeth whitening light, exclusively designed and manufactured in the US, with a lifetime warranty. We provide an entire portfolio of cosmetic whitening and smile enhancement products. We have revolutionized a veneer system that creates an additional profit stream for your business without creating additional services or overhead. We enjoy a marquee pedigree of existing clients, already establishing credibility, with a visible presence in the market. We offer multi-million dollar product liability insurance and offer individual policies for businesses and their customers. We have a U.S. based, state of the art, training and support facility and an award-winning, in-house creative department. Our innovative patented teeth whitening technology is exclusive and not available to the mass market via over the counter products. Be sure that any teeth whitening company you talk to claim the same. We know that they can’t. To learn more about the WhiteScience business opportunity, simply complete the form below.